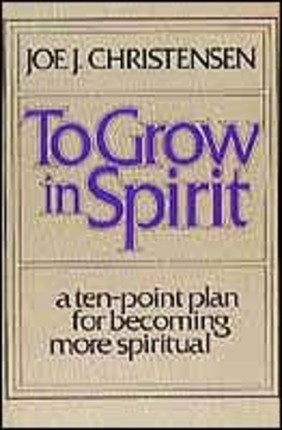 To Grow in Spirit: A Ten-Point Plan for Becoming More Spiritual. In this volume, Elder Joe J. Christensen presents an effective, practical plan to increase spirituality in your life. Specific suggestions are offered along with real-life examples and illustrations that explain how prayer, fasting, cheerfulness, work, and other principles relate to gaining increased spirituality.